How to have a wedding as individual as you are! The day I ended up on a podcast. Last year I decided to say yes to any opportunity that came my way as an Essex Bridal hair stylist. This meant being involved in lots of exciting shoots, including one of my own that made the front cover of County Wedding Magazine (but thats another story). Earlier last year the talented wedding photographer Ross Willsher approached me about the possibly of being a guest on one his podcasts. I was delighted to have been asked as I knew that Ross had just published his book, brilliantly titled “How to have a wedding as individual as you are”. His belief on having your own wedding values and being individual, sat well with my own thoughts about my bride looking like the best version of herself and natural hair styling. He had already interviewed several different wedding industry suppliers. Now it was my turn. I had previously commented on one of his posts and he replied “let’s have a chat, I think you would be great”. I thought about it, well I did tell myself I was going to say yes to everything! Anyone who has visited my little studio will know that I love to chat. How hard can it be ? Let’s do this! Ross kindly sent me a rough guide on the questions he would be asking. Not just about styling bridal hair but what tips I have about keeping calm on your wedding day, things that I wish somebody had told me before my big day. Let’s get this straight, it’s honestly about 5 mins on hair, the rest is filled with fantastic wedding tips. He knew that I was very passionate about my Brides feeling special and that I like to give bespoke natural hairstyles (I like my Brides to look and feel the best version of themselves). I walked in ready for the interview (I felt a little anxious to say the least). Ross made me feel at ease and even bribed me with a few biscuits and a cup of tea ( I mean what’s a girl to do!) . As I hadn’t done a podcast before, I thought will we have a break between questions? Oh no, it was all done in one big scary take (though I actually have to admit to you I secretly enjoyed it). I came out buzzing! 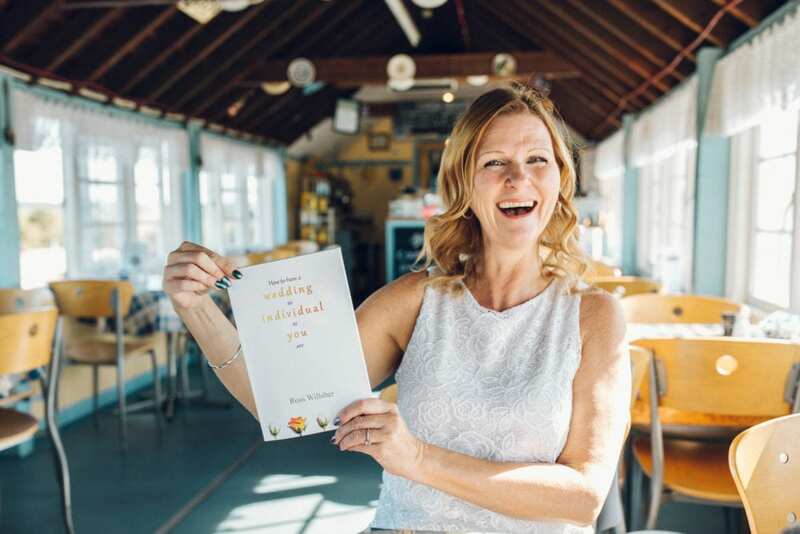 I have read the book too and I feel that there are some truly priceless golden nuggets of information for anyone embarking on their wedding journey as it can be pretty daunting. As a wedding industry supplier, I found this book useful especially the chapter “How to survive a wedding fair.” I believed that as a wedding hair stylist, brides would want to know about my accreditations and what I have achieved such as awards, publications, blogs etc. Ross simply explained that you should be saying “what can I do for you?”. These words resonated with me. I put this into practice at a recent wedding fair, which was strangely refreshing not having to chat constantly. I listened instead (having been doing weddings now for over a decade I forget just how daunting the whole process can be at times). If you would like to hear me, this is the podcast link. It had over 200 downloads in 1 day!